Home › Fleet Feet Sarasota Blog › NEW SHOE ARRIVALS! Looking for a new pair of running shoes? Max cushioning. That's what you'll get with this neutral women's running shoe from Mizuno. With new midsole cushioning and a new premium sock liner, the Wave Enigma 5 also provides maximum shock attenuation, which helps soften the road ahead for a more efficient run. Now that's max comfort. 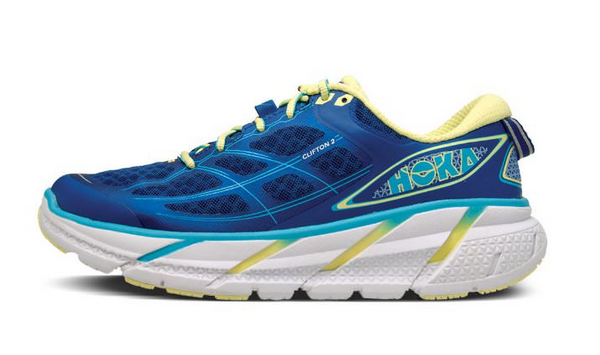 The Wave Enigma 5 is perfect for higher mileage runners. This neutral running shoe is built for runners who are training for longer races, as well as runners who could use a little extra cushion on recovery days. The award-winning Clifton receives an updated upper with a focus on lightweight comfort in the CLIFTON 2. A softer, lightly padded tongue provides increased protection across the foot, and structural overlays improve midfoot support. The industry-leading ride remains unchanged, and the road-focused outsole includes strategically placed rubber pods to improve durability. When all is said and done, one of our favorite shoes just got better. Keep an eye on this blog for August arrivals, coming soon!